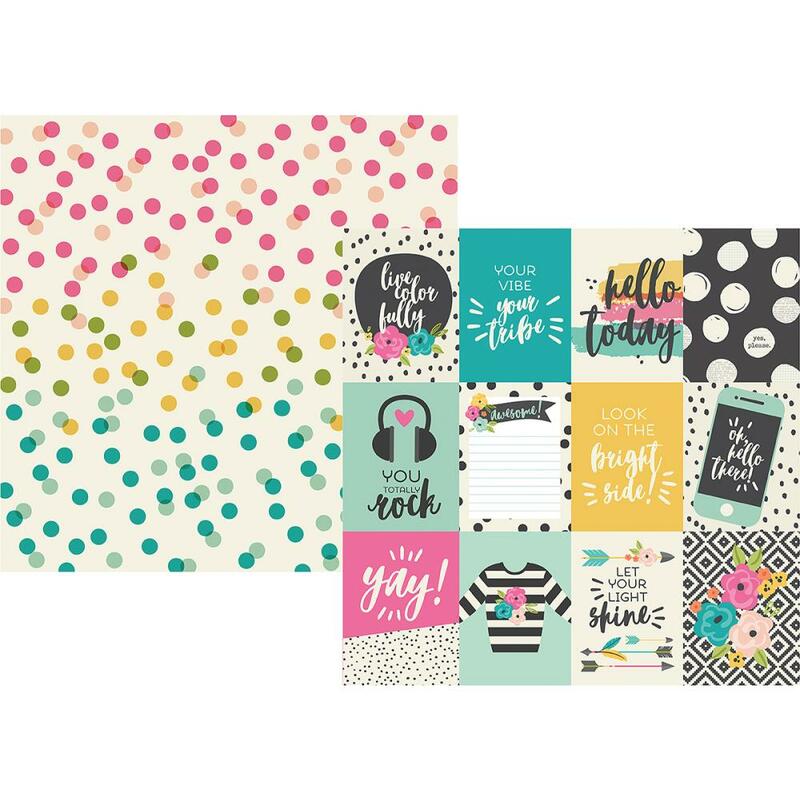 This 12x12 double sided paper has 3"x 4" Journaling Cards on the frontside while the reverse side has colorful Dots throughout. Part of the Good Vibes Collection by Simple Stories. Look for coordinating Bits & Pieces, 12x12 Sticker Sheet, ChipBoard Elements, 4"x 6" Sticker Sheet and a variety of 12x12 Designer Papers.